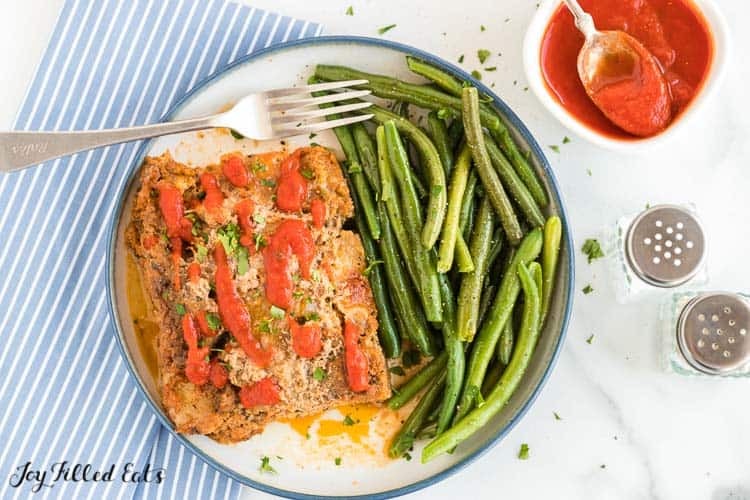 This Easy Ground Turkey Meatloaf Recipe is packed with the flavors of the marinara sauce, mozzarella cheese, and basil pesto. 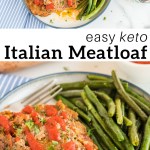 It mixes up in 10 minutes and bakes in 40 minutes making it a great weeknight dinner or Sunday comfort food. I’m not promising this is authentic but it did remind me of my Italian grandmother. She passed away when I was 20 and I miss her terribly. My grandfather was 100% Greek and she was 100% Italian and together they made quite a pair. With two strong personalities, they butted heads a lot but loved each other fiercely. Their lives weren’t easy growing up in the depression and then struggling with owning their own businesses for many years but they were blessed. They had each other, healthy children, and a handful of grandchildren to dote on. The Italians and the Greeks both have amazing food and my grandparents kitchen wasn’t any different. Mozzarella, tomatoes, and basil VS feta, olives, and dill. Such a tough decision. 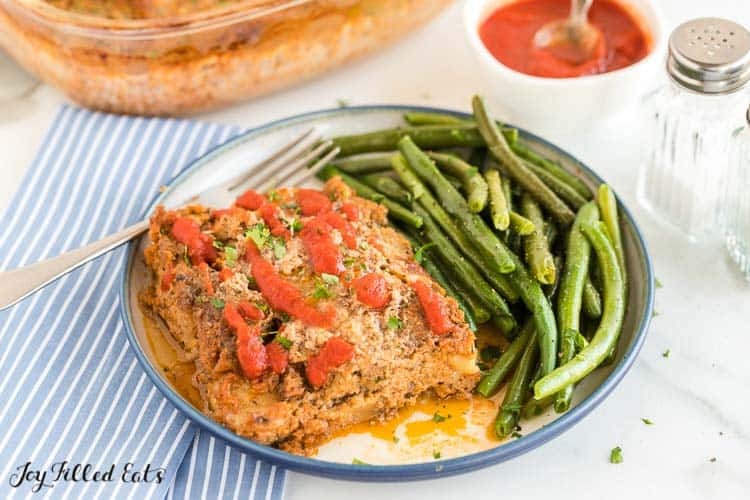 This is the Easiest Italian Ground Turkey Meatloaf Recipe ever because you literally just dump all the ingredients in a big bowl and mix them together. Then dump that in a casserole dish and pop it in the oven. Ten minutes tops. 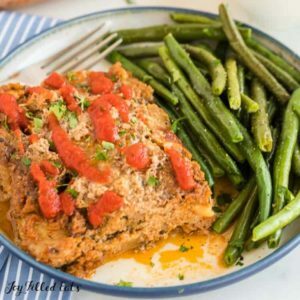 This is a recipe for an Easy Turkey Meatloaf but if you prefer ground beef, ground chicken, ground pork, or even ground venison feel free to use that. I use a combination of ground turkey and pork sausage in my Meatball Casserole and that combo is a sure-fire winner. 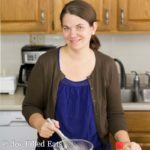 1 cup cottage cheese – not a typical meatloaf ingredient I know, but I promise you can’t taste it and it adds a lot of protein! 1/4 cup basil pesto – I make my own whenever possible. At the end of the summer, I love to harvest all the basil out of my garden and make a big batch and then freeze it in ice cube trays. Meatloaf is delicious and comforting but it is definitely not the prettiest meal to photograph! There is absolutely no reason you can’t make meatloaf without bread crumbs. All the bread crumbs do is absorb some of the cooking liquid. 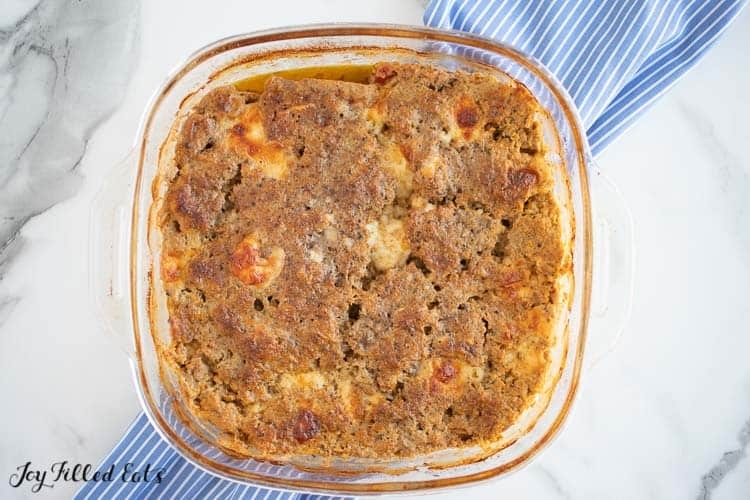 Without using breadcrumbs there might be cooking liquid in the pan when you lift out a slice of meatloaf but it will still be moist and delicious. The same way when you cook any meat it will release some juice. This is normal. And it is fine to just drain that cooking liquid away. 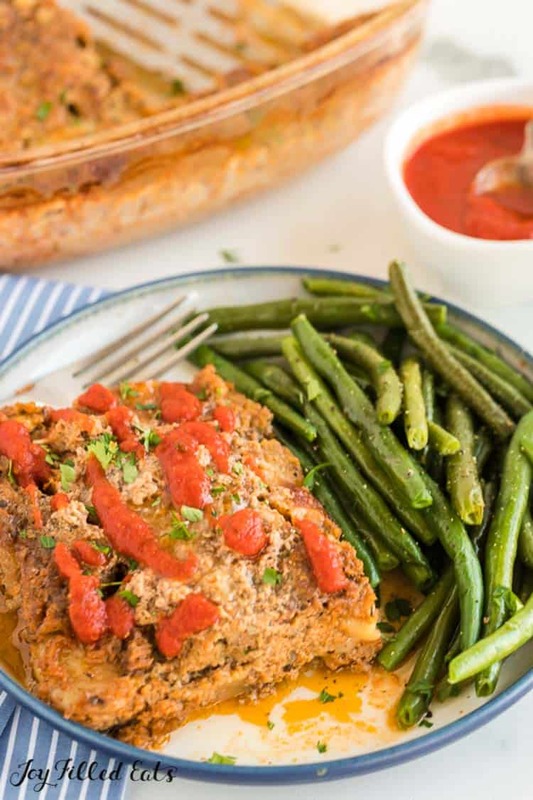 Even settling nostalgia aside (for anyone who read the story under the first photo) I think this is my favorite meatloaf ever. My kids loved it. My husband loved it. And I loved it. So much that I hid the leftovers in the back of the fridge so I didn’t have to share. 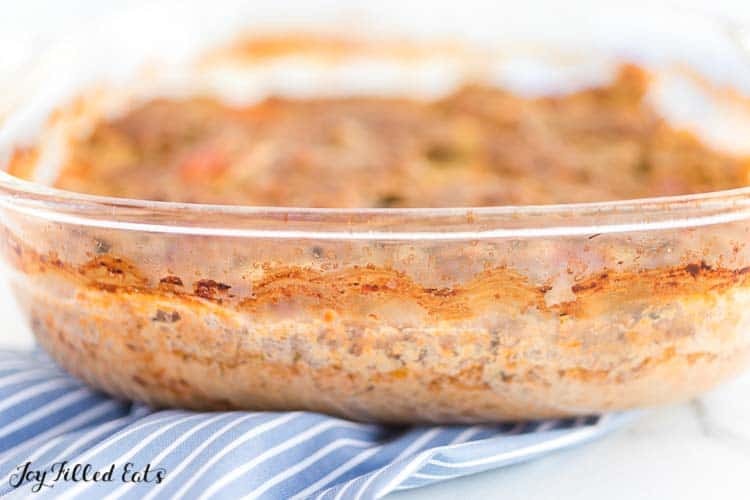 I hope your family loves this Ground Turkey Meatloaf Recipe as much as mine did! 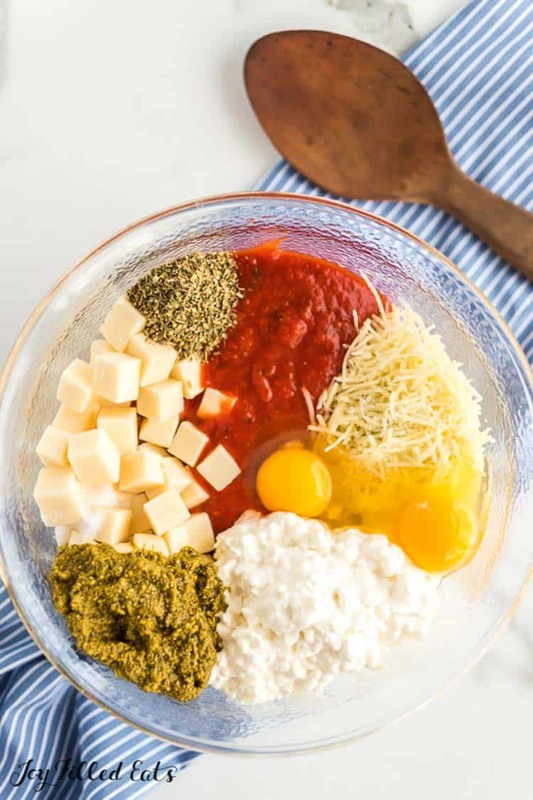 Combine all the ingredients in a large mixing bowl and mix thoroughly. Transfer to a large greased casserole dish. Bake for 35-40 minutes or until the meatloaf is cooked to 160 degrees when checked with a meat thermometer. Originally Published January 15, 2018. Revised and Republished March 18, 2019. Just wondering about leaving the sauce out and putting it on top. We’ve never been big fans of ketchup and the like in the meatloaf. We like a sauce on top. Would I need to add some other liquid to keep it moist? It should be fine to leave the sauce out. Enjoy! Thank you for this recipe, it was delicious. I used ground chicken instead of turkey and 1 tsp dried basil as I did not have pesto. I made it in a 7 x 11" glass casserole dish. Leftovers reheated well. I eat keto and this was perfect.